Supplied to the horizontal pillow packaging machine FFS150 Series | Inline Feeders | FUJI MACHINERY CO.,LTD. 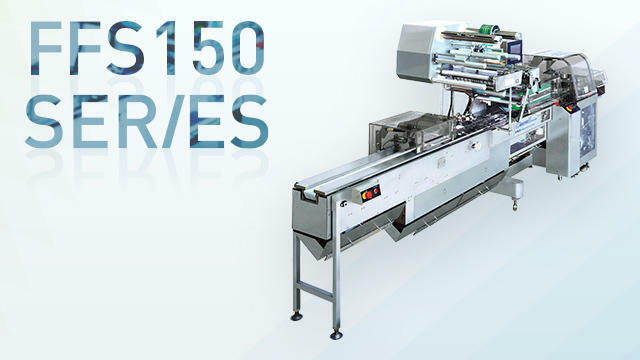 A semiauto feeder with an integrated horizontal pillow packaging machine. Automatically dispenses products to the attachment just by dispensing them to the belt conveyor. Also has stainless steel specifications (U) and wide specifications (W).